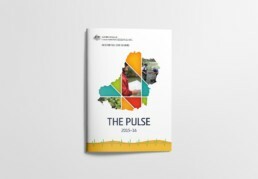 Dreamtime is a member of the Department of Human Services’ Creative and Digital Communication Panel as well as the Printing and Production Panel which cover 60 participating government agencies. 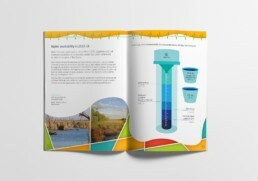 We provide various services including strategic brand, marketing and communication; graphic design; forms design; web and app design; accessibility review and audit; authoring and editorial; and promotional items. 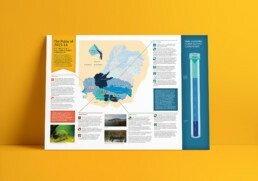 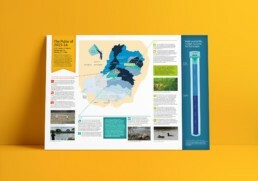 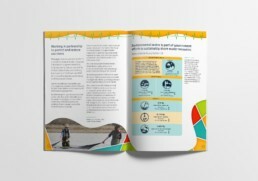 The brochure pictured, ‘Restoring our Rivers’, was designed for the Department of Environment & Energy.